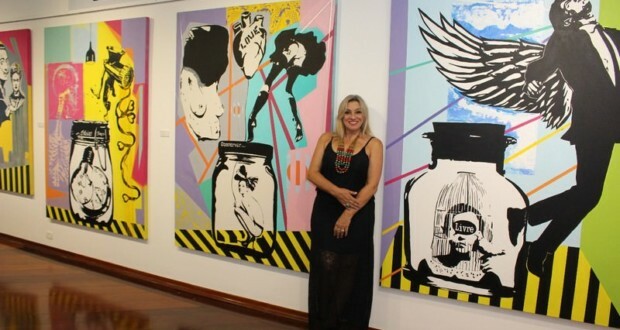 Curator Angela de Oliveira. Photo: Juliana Ferraz. 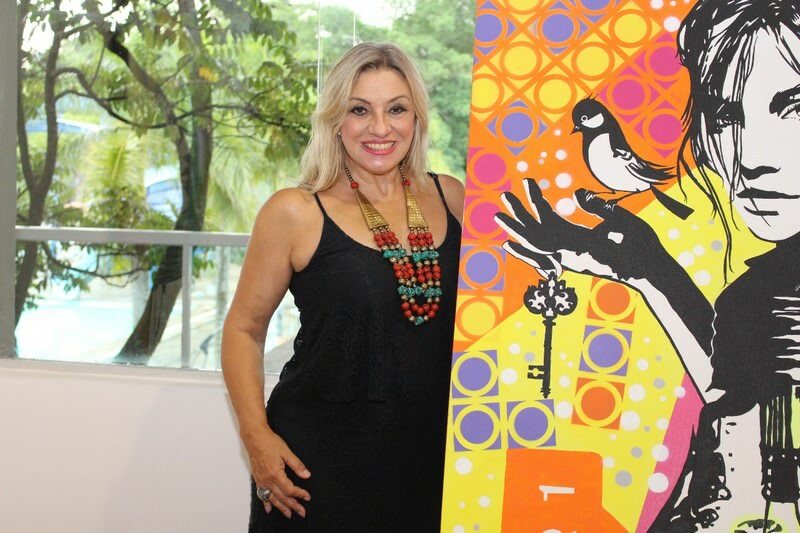 Created three years ago, the project "Art, Sport and Solidarity ", the curator and promoter of arts, Angela de Oliveira, It is a success. 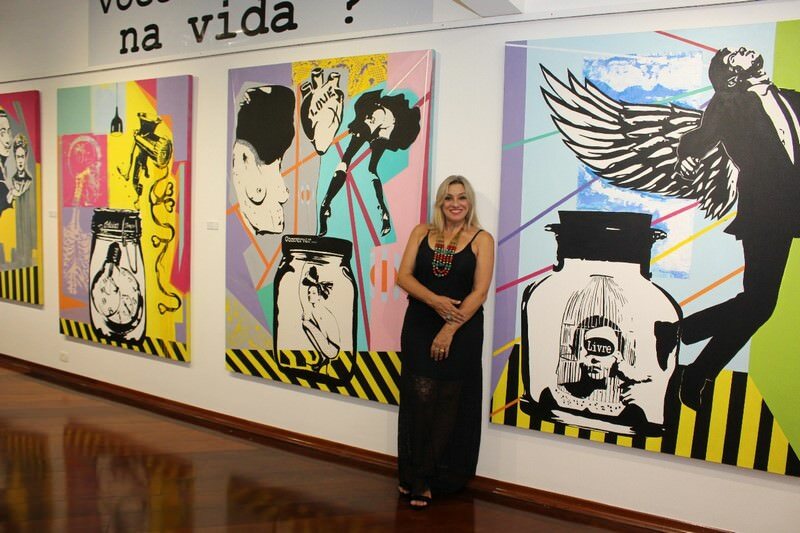 Only earlier this year, the artist promoted two exclusive exhibitions in favor of Cafu Foundation, the former captain of the Brazilian national team soccer. They happen in Alphaville Tennis Club, in Barueri, and had several names in Brazilian art, as Aurino Jottar and Ricardo Muñoz, allocating 20% the sale of works of charity. "I decided to start 2018 with a charity project, bringing together artists and their significant works, so that they can help in the future of hundreds of children and adolescents ", explains Angela. This time, the project reaches the Paulista Space Art, located in Pinheiros neighborhood, in São Paulo, days 20 of February to 5 March. "I am very happy to share my space in this important event, featuring beautiful works of art. I believe strongly that we must do our part in society and to be alongside fine examples, as of Cafu Foundation. The space will be, always, along with Angela on behalf of those in need ", Nair says Petry, Gallery owner. The artists participating in the project are Ana Bittar, Jott Aurín, Carla Senna, Carmen Nicoli, Célia RA, Claudio Cupertino, Cris Picerni, Deca Torres, Eliane Amorim, Fatima Marques, Félix Sampaio, Florence Marmol, Gabriel Diaz, Gilberto Rosado, Iane Zanini, Jane Paris, Lana Bittencourt, Leonardo Labriola, Leticia Moretzsohn, Luan Ribeiróvski, Luciano Carmo, Lucimary Toledo, Mariá Mallmann, Maria Tereza Penna, Mauro Kersul, Mônica Pailo, Monique Saboya, Nancy Steps, Pathy Esse, Regina Moraes, Ricardo Muñoz, Rosangela Vig, Sabrina Sibila, Silvaney Vasconcelos, Sirlea Vieira Xavier, Sofia Parente, Thais C. Saucer, Tarcil to Eskeff, Wanessa Prado and Zelia Mendonça. The Cafu Foundation is a nonprofit, generating development opportunities that acts in the fight against social inequality. Proposes an educational partner to care about 630 children and low-income youth aged 4 to 17 years and 11 months and 279 people over 18 years, with professional courses, in the city of São Paulo. Its mission, implement and maintain programs that promote the social inclusion of Irene Garden community, Cafu neighborhood where he was born and grew, and other neighbors, guiding them to seek their rights as citizens, becoming transforming agents of their own realities. "There is no price in this world that can pay the smile on a child's face. Let's walk together and do our part. Every child has the right to dream ", says Marcos Evangelista de Morais, better known as cafu.